Huge congratulations to Northampton School for Boys who regained their No. 1 slot for the third time in four years as top sporting school of the year. Competing in 20 different sports and more than 120 different national competitions this award is a huge achievement. Pupils at Northampton School for Boys benefit from top sporting facilities thanks to their DYNAMIK Area Elastic Sprung Sports Floor. The top 30 schools on the list represent 1% of sporting schools in the UK so Northampton are clearly doing something right! 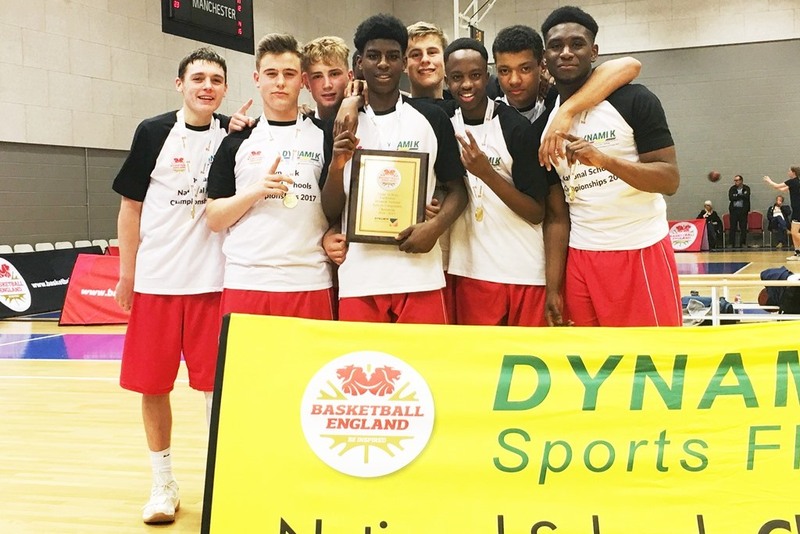 Northampton School for Boys are keen competitors in the DYNAMIK National Schools Championships which supports basketball teams from Under 12s to Under 19s in secondary schools. The finals are held each May at the National Basketball Performance Centre (NBPC) at Belle Vue Sports Village, Manchester. DYNAMIK Sport provide Sport England & BS EN 14904 compliant indoor sports flooring systems and extend their passion for top quality sport by sponsoring grassroots and high performance sport. For more information on how we can assist in your project contact: info@dynamiksport.co.uk. Tel: 0117 3015120.